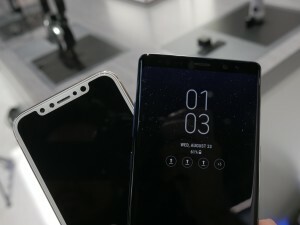 You know it's coming - the Samsung Galaxy Note8 and Apple iPhone 8 will compete for dominance of the premium smartphone market. 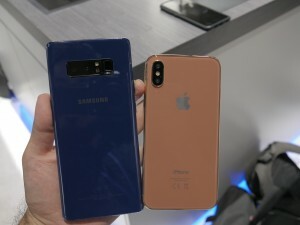 Only half of the duo is official, however thanks to the numerous leaked CAD schematics, there are iPhone dummies floating around. 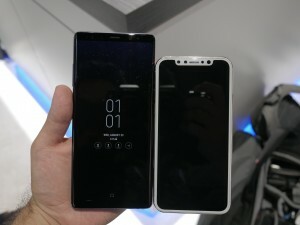 The iPhone measures 143.5 x 71 x 7.5 mm while the Note8 is noticeably larger - 162.5 x 74.8 x 8.6 mm. 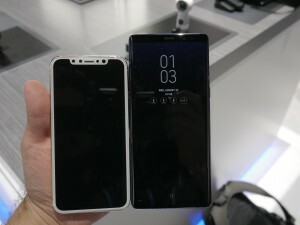 Both phones have screens with wider-than-standard aspect ratios, though on the iPhone part of the top has been cut out to make space for the front camera and facial scanning hardware. Speaking of cameras, let's have a look around the back. 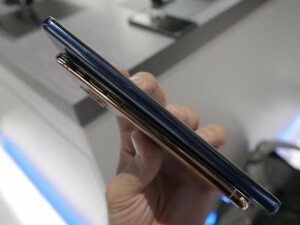 Apple's dual camera hump is much more pronounced than Samsung's (though the extra millimeter of thickness sure helps). The bottom sides of these two are quite different. Samsung kept the headphone jack, but Apple offers stereo speakers. 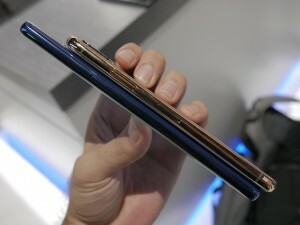 And there's the S Pen, of course, while Apple keeps its stylus for iPad use only. 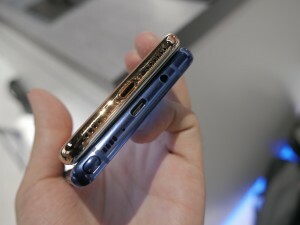 Would you rather have stereo speakers or a headphone jack? We'd like to thank Enobong Etteh from Booredatwork for lending us the iPhone 8 dummy!